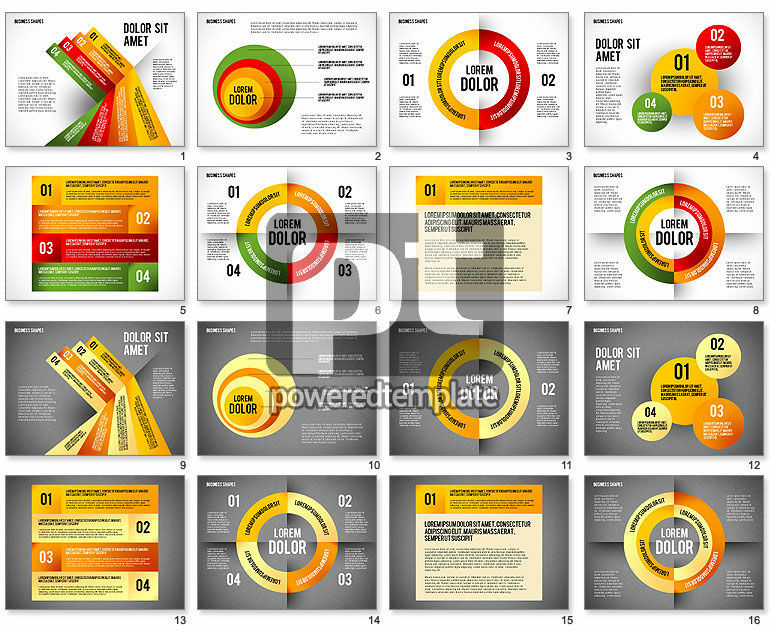 These presentation slides 46550 are complete compatible with Google Slides. Simple download PPTX and open the template in Google Slides. This unbelievably great and positive modern template will make any your presentation bright and unforgettable. It has various colorful textboxes in forms of circles to suit any kind of given information, so you may use it anywhere in business, education, social networking, media and so on. This magnificent sample also has bright stripes and two kinds of the background for your comfortable usage.